"I want the CDC and researchers to continue to investigate this," said Dr. Laura Riley, a Boston-based obstetrician who leads a committee on maternal immunization. "But as an advocate for pregnant women, what I hope doesn't happen is that people panic and stop getting vaccinated." Past studies have found flu vaccines are safe during pregnancy, though there's been little research on impact of flu vaccinations given in the first three months of pregnancy. Flu and its complications kill thousands of Americans every year. The elderly, young children and pregnant women are especially at risk. When a new "swine flu" strain emerged in 2009, it killed 56 U.S. pregnant women that year, according to the CDC. The study's authors, two of whom are CDC researchers, saw a big difference when they looked at women who had miscarried within 28 days of getting a shot that included protection against swine flu, but it was only when the women also had had a flu shot the previous season. They found 17 of 485 miscarriages they studied involved women whose vaccinations followed that pattern. Just four of a comparable 485 healthy pregnancies involved women who were vaccinated that way. The first group also had more women who were at higher risk for miscarriage, like older moms and smokers and those with diabetes. The researchers tried to make statistical adjustments to level out some of those differences but some researchers don't think they completely succeeded. Other experts said they don't believe a shot made from killed flu virus could trigger an immune system response severe enough to prompt a miscarriage. And the authors said they couldn't rule out the possibility that exposure to swine flu itself was a factor in some miscarriages. Two other medical journals rejected the article before a third, Vaccine, accepted it. Dr. Gregory Poland, Vaccine's editor-in-chief, said it was a well-designed study that raised a question that shouldn't be ignored. But he doesn't believe flu shots caused the miscarriages. "Not at all," said Poland, who also is director of vaccine research at the Mayo Clinic. Though this study may cause worry and confusion, it is evidence "of just how rigorous and principled our vaccine safety monitoring system is," said Jason Schwartz, a Yale University vaccine policy expert. 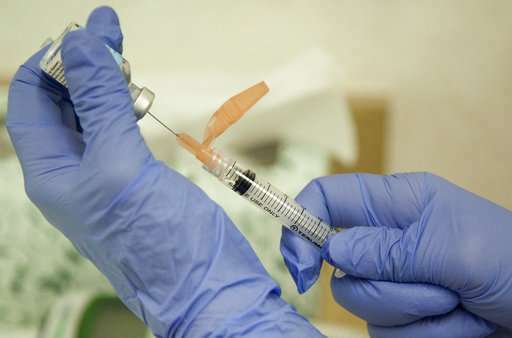 Some of the same researchers are working on a larger study looking at more recent data to see if a possible link between swine flu vaccine and miscarriage holds up, said James Donahue, a study author from the Minnesota-based Marshfield Clinic Research Institute. The results aren't expected until next year at the earliest, he said.